This case was resolved without extended litigation! Meetings are by appointment only until fully staffed in January 2019. 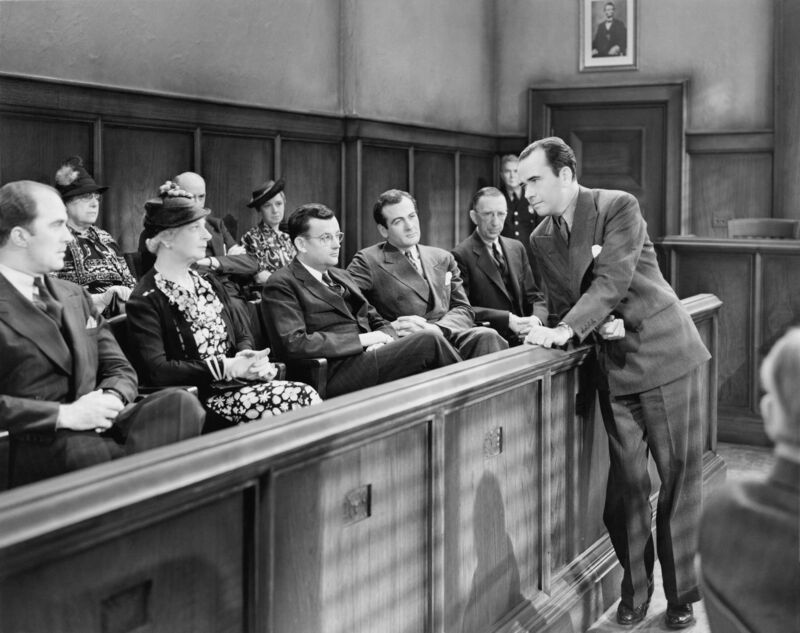 Litigation is commonly defined as the procedure of bringing a dispute in front of a judge or jury for resolution. There are many different issues that can result in litigation in a probate proceeding including: (1) whether a will is valid (proper execution, invalidity because of mistake, insane delusion, fraud or undue influence), (2) determining the meaning of an ambiguous provision of a will, (3) determining who should serve as personal representative, (4) determining who the heirs of the estate are, (5) determining the assets of the estate, (6) determining whether the personal representative has properly managed the trust assets, (7) determining whether a creditor has a valid claim against the estate, (8) determining whether the personal representative and agents of the personal representative have been paid excessive amounts, (9) removal of a personal representative, (10) proper payment and allocation of estate and income taxes, (11) asset distribution issues. There are many different issues that can result in litigation in the administration of a trust including: (1) whether a trust is valid (proper execution, invalidity because of mistake, insane delusion, fraud or undue influence), (2) determining whether a trustee or beneficiary should seek judicial modification of a trust provision, (3) determining the meaning of an ambiguous provision of a trust, (4) determining who should serve as trustee, (5) determining whether the trustee has properly managed the trust assets, (6) determining the assets of the trust, (7) determining whether a creditor has a valid claim against the trust – usually through the estate, (8) determining whether the trustee and agents of the trustee have been paid excessive amounts, (9) proper payment and allocation of estate and income taxes, (10) asset distribution issues. Rarely will you find a probate or trust attorney who truly knows what you are going through. However, Attorney Matthew Linde means it when he makes this claim. Mr. Linde is unlike most probate or trust attorneys in that he has experienced first hand what it is like to have a family member taken advantage of just weeks before his death. Thus, he is very passionate about helping people with fiduciary, trust, guardianship and probate litigation. Attorney Linde's father, Lee Linde was terminally ill with cancer and married a woman three weeks before he passed away. While he was heavily medicated, his new wife convinced him to sign paperwork that transferred his assets to her. Attorney Matthew Linde spent an entire year researching capacity, undue influence, fraud and other legal issues pertaining to his situation. He personally knows what it feels like to watch a family member being manipulated by someone. Mr. Linde knows that probate and trust issues involve not only money, but also emotions. This experience is what led Mr. Linde to pursue trust and estate litigation. Contact the Linde Law Group today at (239) 939-7100 for answers to your fiduciary, trust, probate or guardianship questions. While it can be overwhelming trying to determine the best options when facing a fiduciary, trust, probate or guardianship issue, it should be comforting to know that there is an estate lawyer who will fight hard to ensure that you obtain justice. People who are greedy and lack integrity should not get away with their unethical actions. At the Linde Law Group, we will work diligently to hold these people accountable. Do not delay in seeking legal advice following a dispute regarding the handling of a trust or probate issue. Contact the Linde Law Group today at (239) 939-7100 for a legal consultation. The Linde Law Group handles cases in Fort Myers, Cape Coral, Bonita Springs, Punta Gorda, Port Charlotte, Naples, Immokalee, Lee County, Charlotte County, Collier County, Henry County and Highland County. Terms and Conditions for Use of Website: Linde Law Group (the "Firm") makes available the information and materials on this website, http://www.floridaprobatelitigator.com/ (the "Materials") for informational purposes only to the user ("You.”). While the Firm hopes the Materials will be helpful as general information, the Firm does not warrant that the Materials are accurate or complete. Moreover, the Materials are general in nature, and may not apply to your legal issue. Under no circumstance do the Materials constitute legal advice and should not be relied on as such. Furthermore, the Firm accepts clients only in accordance with mutually agreed upon procedures and renders legal advice only after completion of those procedures and when it is legally permissible to do so. Any usage of this website and Materials is provided with no warranties or guarantees of any kind. The hiring of a lawyer is an important decision that should not be based solely upon advertisements. Before you decide, ask the Firm to send you free written information about our qualifications and experience. We, the attorneys at Linde Law Group regularly handle cases in Fort Myers, North Fort Myers, Cape Coral, Bonita Springs, (Lee County) Punta Gorda, Port Charlotte, (Charlotte County) and Naples (we will have a fully staffed office in Naples starting in January 2019) including Marco Island (Collier County) and occasionally throughout the State of Florida. The Firm provides legal services in probate and trust litigation and administration, will contests, estate litigation, fiduciary litigation, guardianship administration, estate planning, tax litigation and planning and elder law.